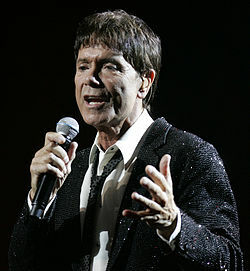 클리프 리처드 경(영어: Sir Cliff Richard, OBE, 1940년 10월 14일 ~ )은 인도에서 태어난 영국의 가수이다. ↑ “Supplement to The London Gazette: 1980 New Year Honours”. 《The Gazette》 (영어) (런던) (48059): 7. 1980년 1월 7일. 2017년 5월 2일에 확인함. ↑ “Supplement to The London Gazette: 1995 Birthday Honours”. 《The Gazette》 (영어) (런던) (54066): B2. 1995년 6월 16일. 2017년 5월 2일에 확인함. 이 문서는 2018년 10월 7일 (일) 17:15에 마지막으로 편집되었습니다.